This week, our LEP Chair, Steve Hindley, our Chief Operating Officer, Eifion Jones and I went to Westminster to meet ten of our South West MPs to update them on LEP business and to ask for their support in drawing up a delivery and action plan for the new HotSW Productivity Strategy. We’ll be writing to the other seven MPs in the HotSW area to bring them up to date, and it was useful to hear the thoughts from the ones we did meet this week on how they believe the LEP can most effectively support the Heart of the South West Joint Committee (more about that below) to drive forward productivity and increase the prosperity of our area. The strategy focusses on the three key themes: leadership and ideas: housing, connectivity and infrastructure and: employment, skills and learning. In addition, there are three cross-cutting themes: inclusive growth for our people, communities and places; capitalising on our distinctive assets and: maximising the potential from digital technology. We were also very pleased to be able to report to our MPs that of our Growth Deal and Growing Places projects, for which we’ve attracted significant funding of circa £750m, 20 are already complete, 24 are underway a further 26 are progressing through business cases and in the pipeline for delivery. We’ve news about the new projects that began this month, such as the Electronics and Photonics Centre in Paignton, the Constructing Futures Devon project and a further extension and a consultation on the Connecting Devon and Somerset scheme to improve broadband and mobile connectivity. 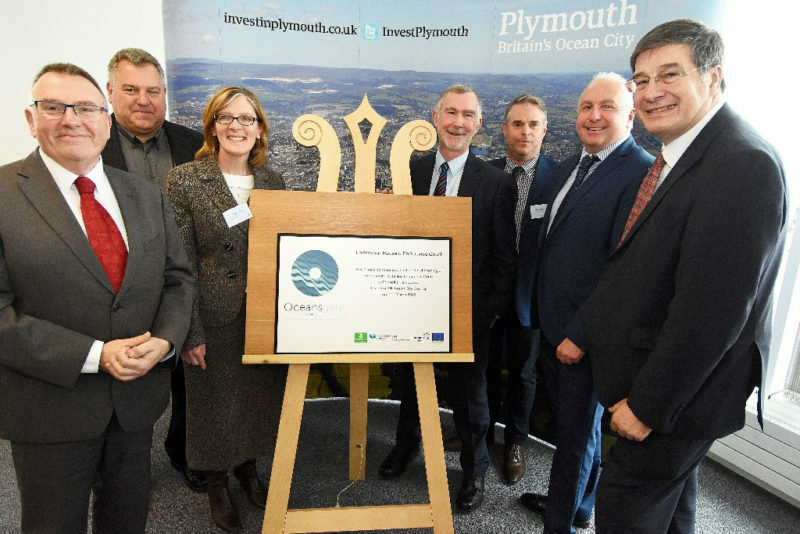 Also in the news is progress on the Growth Hub, Junction 25 and the official opening of the first phase of Oceansgate, the UK’s only marine Enterprise Zone, which has been partly funded by both Growth Deal funding and a Growing Places loan from the LEP. The role of LEPs is growing in influence, and as such, LEPs nationally have been asked to become more consistent with each other and more transparent. What was encouraging for us in HotSW, is that we were doing quite well already with our governance and transparency of information. However, a few more tweaks to the website and the way we publish our meeting decisions have improved things even further. You can see our decisions and meeting papers at the website here. And finally, we’ve got news about an opportunity for innovative businesses to exhibit at the Innovate UK stand at the International Business Festival in Liverpool, and more announcements bringing positive developments in our rail connectivity, which we continually strive for with our partners across the South West. 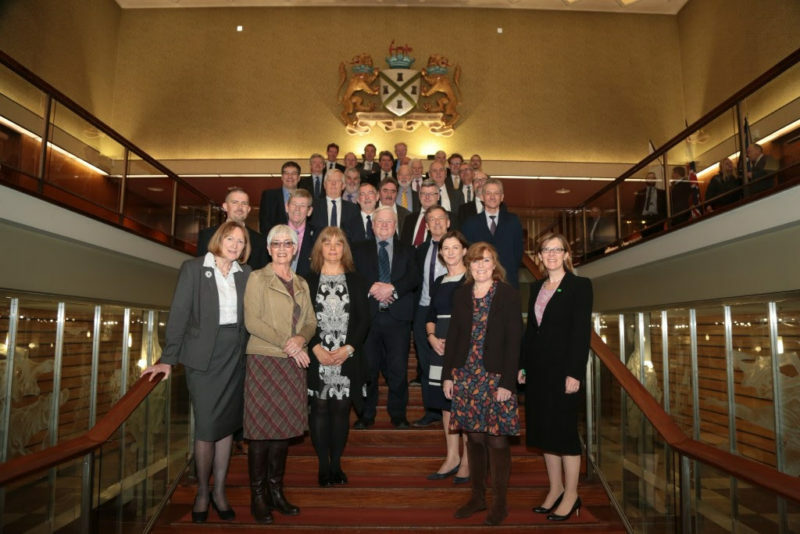 Representatives from 23 organisations across Devon and Somerset agreed steps to drive up productivity at the first meeting of the Heart of the South West (HotSW) Joint Committee on Friday 23 March. The inaugural meeting of the Joint Committee unanimously endorsed the Productivity Strategy that has been taking shape over the last two years and aims to double productivity over 20 years. At the meeting in Plymouth City Council offices, the committee also voted unanimously to appoint Councillor David Fothergill, Leader of Somerset County Council, as the first Chair of the new committee and Councillor Paul Diviani, Leader of East Devon District Council, as the Vice Chair. 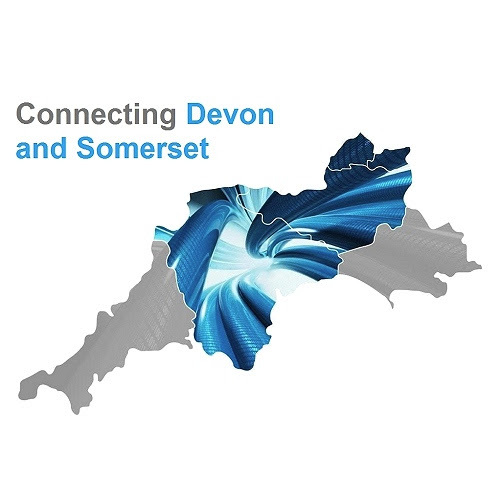 The Committee will be the vehicle through which authorities and organisations across Somerset and Devon work together to improve productivity and continue to work with government under the devolution and other government policy agendas to push for freedoms and flexibilities and possibly additional funding to enable the partnership to achieve its goals. It’s the result of more than two years of work looking at ways to improve productivity and work together to capitalise on opportunities presented by Government policy. The Productivity Strategy aims to double productivity in the area over 20 years, focussing on themes including promoting business leadership, housing, connectivity, infrastructure, skills and training. It looks at growth, capitalising on the area’s distinctive assets and maximising the potential of digital technology. Cllr Fothergill added: “Between us we have the ability to achieve much of this, but some aspects will need the support from Government which is why the Joint Committee is so important. Somerset County Council is acting as the host of the HotSW Joint Committee and meeting agendas and further information can be found here The Joint Committee’s meetings are open to the public and will be live streamed online. The Heart of the South West Productivity Strategy can be found here. 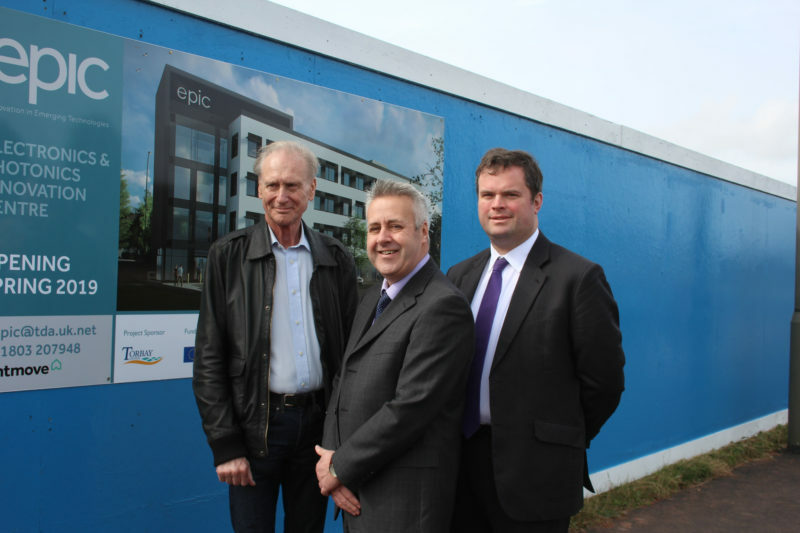 Construction began last week of the new Electronics and Photonics Innovation Centre (EPIC) in Torbay, which is partly funded by £3m from HotSW LEP’s Growth Deal. EPIC will build on the strengths of the hi-tech sector in Torbay and provide a centre of excellence for photonics and electronics businesses across the whole of the Heart of the South West. The £8m project comprises a purpose-built hi-tech innovation centre, along with car parking, landscaping and accompanying estate road. The facility will promote collaborative activity between businesses and research institutions, while accommodating and supporting start-up and spin-off companies and foreign direct investment relevant to the microelectronics and photonics sector. Surejust, Trend Marine and the Maritime and Coastguard Agency will be the first to move into the new development at South Yard in Devonport, Plymouth. Oceansgate has transformed disused Ministry of Defence land into the UK’s first marine Enterprise Zone, and it has been designed with the needs of marine businesses in mind. Phase 1 has seen the creation of office and industrial space totalling 2,600m2, with space for up to 21 businesses. It is partly funded by £1.5m from HotSW LEP’s Growth Deal and a loan of £5m from HotSW LEP’s Growing Places Fund. The official opening of the new buildings – Endeavour House and Endurance Court – on 28 March secures Oceansgate’s status as a world-class centre for the marine sector, and investment by the first tenants shows market confidence in the globally significant Enterprise Zone. Surejust and Trend Marine are both suppliers to Princess Yachts and will each be occupying an industrial unit. The new location will enable them to provide even better service to Princess Yachts and develop new business opportunities in the South West. Manufacturing company Surejust specialise in equipment used by the marine industry, including boilers and expansion tanks, whilst Trend Marine is an industry-leading manufacturer producing marine glass and glazing products especially designed for yachts and super yachts. The Maritime and Coastguard Agency is responsible for implementing maritime law and safety policy and preventing the loss of lives at sea. They are moving their existing Plymouth office to Oceansgate from its current base in Stonehouse, which they have outgrown. Once all three phases of the development are complete, it will offer 25,000m2 of flexible employment space and three docks suitable for marine industry dockside operations. For more information about Oceansgate, visit: www.oceansgateplymouth.com. Independent charity Devon Communities Together has announced the launch of a new trading arm, Constructing Futures Devon, which has been established to facilitate real-life construction experience for local young people and provide new affordable homes in Devon, with the support of a HotSW Growth Deal grant of £574,320. Constructing Futures will purchase properties in need of major renovation, as well as new build sites, and construct quality homes to be sold on the open market. Profit will be reinvested to fund its work in communities throughout Devon. Constructing Futures will work with employers to provide additional learning opportunities for their apprentices, supporting their progression to Level 3. Beginning in the Torbay and Teignbridge areas, Constructing Futures will initially partner with South Devon College, and there are plans to expand to Exeter and North Devon. New analysis shows the total number of homes and businesses with access to CDS-provided superfast has risen to 298,900 and a further 38,000 can access improved broadband speeds. In addition, CDS-funded construction has started to provide a further 68,100 rural homes and businesses across the region with access to superfast networks by 2020. In many cases the new networks will be capable of ultrafast speeds. As a result, CDS yesterday launched a consultation to help target isolated communities in greatest need of that public investment and where there are no declared and credible commercial deployment plans. CDS is backed by funding from the Government, EU, HotSW LEP Growth Deal funding and a local authority partnership further information is available here. 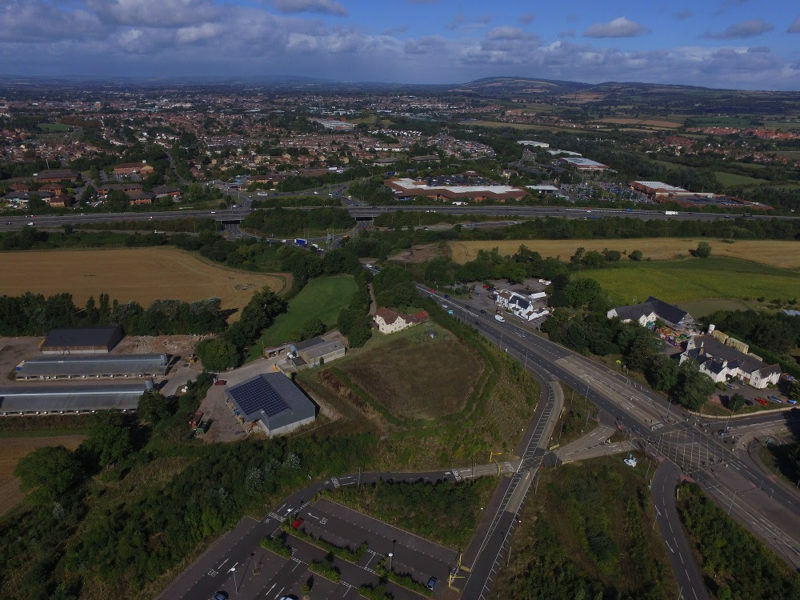 Somerset County Council has granted planning permission for the upgrade of Junction 25, which is the main access point to Taunton and provides a critical link to the second strategic route into the South West via the A358 and A303. £12.9m is allocated funding from the HotSW Growth Deal Fund. The total scheme is expected to cost around £18m with funding from Taunton Deane Borough Council, Highways England and developer contributions. The upgrade will improve journey times, reduce congestion, improve Park & Ride journey time reliability and create a more attractive access to Taunton, Yeovil and the A303 from the M5. The scheme will also unlock access into the proposed Nexus 25 employment site and support other planned growth across Taunton. Construction is likely to take up to two years with work expected to start during winter 2018/19. As organisations continue to review their processes to ensure full GDPR (General Data Protection Regulation) compliance by the enforcement date of 25 May 2018, we are aware that there is a plethora of information available to businesses, often with contradictory messages. The Heart of the South West Growth Hub have created an online GDPR resource to provide a reliable and trustworthy overview on the upcoming data protection changes. The GDPR hub will be updated regularly with useful links to reliable sources of information and advice, funded GDPR related events that they are made aware of and the FAQs that the local business community is asking on the topic. This year, rather than hold an independent “Innovate” event, Innovate UK will be major exhibitors at the International Business Festival in Liverpool in June, with 300sqm space which will form the Festival’s UK Innovation Hub, as part of a cross-government presence. 27,000 to 30,000 attendees are expected to attend; around 3,000 per day. Expected 30% from overseas and 70% from the UK. 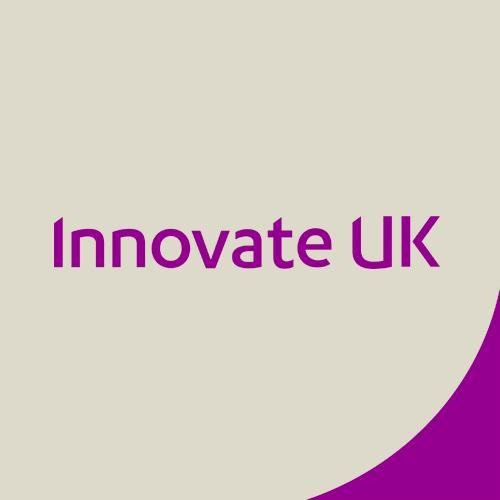 Innovate UK aims to showcase the very best of UK innovation, potentially rotating exhibits for dedicated days. The deadline is 13 April and more information about the event, plus registration, is available here. Adding to a fleet of new Intercity Express Trains due into service this Summer, GWR have announced a scheme to modernise High Speed Trains (HSTs) to provide even more additional seats and services. Work is already underway to convert former eight carriage HSTs (8+2) to four carriage (4+2) Class 43 Castle trains, to operate services between Exeter and Penzance, which will help double the frequency of services on the Cornish main line. The work will see the sets made more accessible and modernised; decade-old slam doors will be replaced with modern, automated, sliding doors; toilet retention tanks fitted and an improved passenger information system fitted. “These trains will replace smaller, less powerful trains on this part of the network; doubling the number of seats as part of our commitment to improving rolling stock across every part of our network. 48 passenger carriages and 24 power cars are being updated, to make 11 sets, with four spare, as part of a wider national programme to modernise the High-Speed Train. With all modifications complete, the trains will also be extended to serve the route from Penzance to Cardiff, and to bolster peak time services between Gloucester and Taunton. The Class 43 Castle trains will be maintained at GWR’s depot at Laira, Plymouth. Arriva group train company CrossCountry, yesterday announced 400,000 additional seats each year for rail users travelling between Exeter and Bristol. Starting from 9 December, CrossCountry will operate six additional services each weekday to improve connectivity by rail between two of the region’s main cities, as well as improving the region’s connectivity with the Midlands and North.